Once you give birth to your newborn you may wonder when you should give your baby his or her first bath. You actually have to wait to give them a real bath until after their umbilical cord falls off, but before then you can give baby sponge baths. Why is this? The umbilical cord needs to remain dry in order to fall off (which should happen within 14 days after birth). If the umbilical cord gets wet and stays moist, it will remain there. Once the cord has dried and fallen off you can then submerge your baby’s little body into water and give them a real bath. You first need the essentials and one of those is a good place to bathe your baby. Are you going to do it in the sink? In the tub? Do you have a baby bath tub? You need to have a safe and comfortable place for baby to sit and enjoy the water as you bathe them. I personally recommend doing the first bath in the sink so that baby is at counter height for you. Leaning over or bent on your knees is never a good place to start off your first bath with baby (especially postpartum!). Place an adult bath towel or your baby bath tub inside the sink to get started! Next you’ll want to make sure that you have the water at just the right temperature. Not too hot, but not cold either. This is when most first time parents get flustered. You don’t want to burn your baby (of course), but you also don’t want it to be cold and make them sick. When you’re ready to get started, get the water going and have it at a temperature that makes it a nice warm bath. To test the water temperature use the inside of your forearm to feel the water. Our hands are desensitized, so what we think is warm with our hands may actually be hotter than we realize! That’s usually not the problem though. The problem is the majority of parents usually make the water a little too cold for baby. Turning up the warm water makes the world of difference and is definitely the key to a happy bath. No one wants to take a cold bath. Especially your baby. You probably registered for your baby’s soap and shampoo or picked something up at the store for your baby. If you haven’t selected one yet, we highly recommend Cetaphil Baby, which is what we chose for our family. They are the #1 pediatrician recommended brand, and after testing it myself and using it on my son, we can’t recommend it enough. When I first was trying to make a choice on which wash to use with our baby, I saw that Cetaphil Baby products are paraben free, mineral oil free, hypoallergenic, and dermatologist tested. With all the research I did, it was a no brainer. I also really liked that many of their products have organic calendula, which is very gentle and calming for sensitive skin–perfect for babies. The number one rule when giving baby a bath is to NEVER leave baby alone. You should always be right by their side if they are in or near water. To make sure that you aren’t far away, it’s important to keep everything you need during bath time and after the bath close to you and baby. This is another reason why I like the sink for baby’s first bath because everything is within arms reach. If you’re not sure what you will need here is what I recommend: you should have baby’s shampoo and body wash, a clean diaper, 3-4 wash cloths, a hooded drying towel, cotton swabs (if you are using them to clean baby’s ears and eyes), baby lotion and a fresh pair of clothes. When you take a shower or a bath, the worst part is when you have to get out and grab your towel, right? It’s so cold! We want to stay warm and get dry. It should be no surprise that babies feel the same way. A trick that I have always used to keep baby warm during their bath is to keep a warm, wet wash cloth on baby’s abdomen. It helps them stay comfortable as you clean and wash off each part of their body. Every now and then pour some clean warm water on the wash cloth to continue to keep them warm. Babies love it! The places that parents forget to clean the most are in-between the fingers and toes (so much lint and mommy’s hair get stuck in there), as well as around baby’s neck. When baby is breastfeeding or bottle feeding, it’s normal for milk to dribble down their cheek and into their neck creases. But with those cute baby neck rolls we often miss in between the creases. This is a spot that we want to make sure that we don’t miss; otherwise baby will smell like spoiled milk or rotten cheese. Not cute for our cute babies! The last place you want to wash is baby’s head. I leave this for the end of bath time because the fastest place babies lose heat is from their head. Once you get their head wet they can get very cold and very upset. Many people may think that washing baby’s diaper area should come last, but that is always the second to last place that I wash. I keep lots of wash cloths handy so that you can use separate, clean cloths for the body, diaper area, head, and face. The head is last so we don’t make baby cold. This will help avoid any tears. Once you are finished bathing baby grab your baby’s hooded towel and place the opposite end of the hooded towel up on your shoulder leaving the hooded part pointing towards the floor. Then grab your baby, place them on you on the towel (the towel should be between you and baby keeping you dry), and pull the hooded part of the towel up and over their head. Voila! Now nuzzle him/her close and help baby get dry. This is usually the part when your baby will get a little upset because they don’t want to get cold. They liked the warm water and are now adjusting to being out. Now you have a clean baby! After bath time I always like to put lotion on babies to make sure that we don’t dry out their skin. Bath time can do that so applying lotion afterwards can really help, especially now that it’s winter time. So after our son’s bath I like to give him a little massage. This is the perfect way to wind down our bath time together. I use Cetaphil Baby Ultra Soothing Lotion with Shea Butter and start with the arms and hands, then legs and feet, and then finally his tummy and back. This not only takes care of moisturizing his skin but it also helps with a better night’s sleep. We love our bath time routine together and love our Cetaphil Baby products! 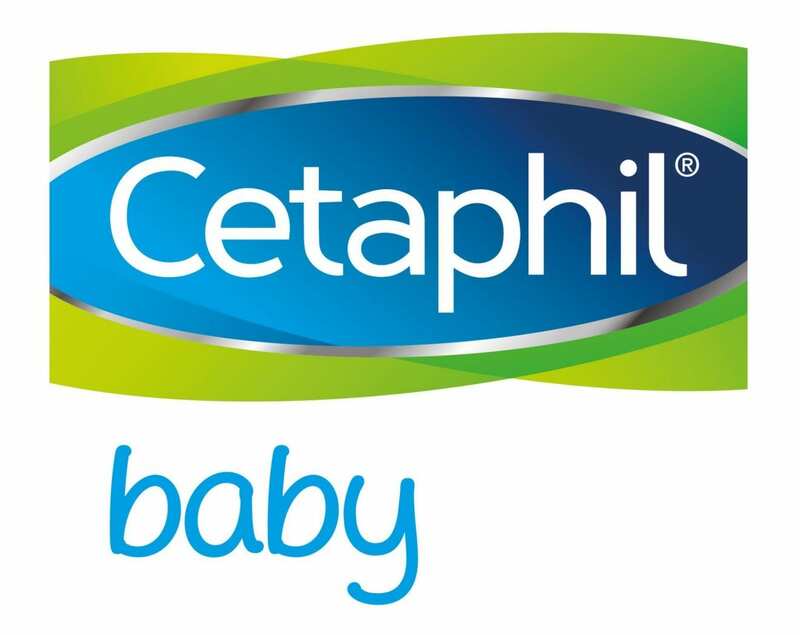 If you’d like to try Cetaphil Baby, click here to save.